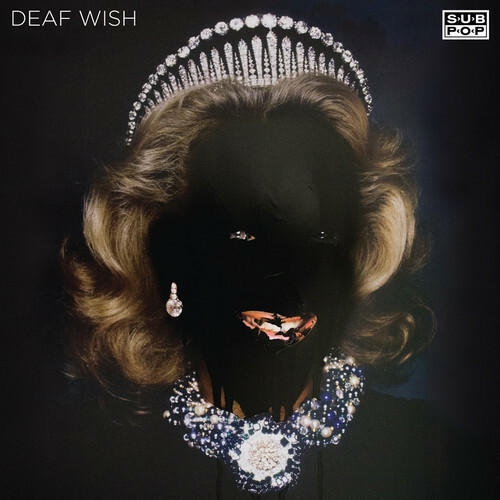 Out of nowhere comes this bruiser of a track from Deaf Wish. The band has mostly dropped off the radar since the release of their album, Mercy in 2010, but now they are back with some new noise that will be released on Sub Pop. Sarah Hardiman, Nick Pratt, Jensen Tjhung and Daniel Twomey have come back with force with their new single, ‘St. Vincent’s’. It is the lead song on a 7” being distributed by Sub Pop that will also reportedly feature 3 other rough spankers. I’ve never seen this band play live, but from what I have read it is a frenzied affair. ‘St. Vincent’s’ is one hell of a rager so I can picture a bit of a scrum taking place when this is boomed live. ‘St. Vincent’s’ is a bassy and frenetic piece of music. I hear elements of Kyuss in the swell, the onslaught. I’ve been kidnapped and thrown in the back of a van, the band are driving and are all over the road. Sarah Hardiman’s vocals are key; her smooth, invocation-esque style creates a fine layer of unease over the rough texture of chaos and creates the cohesive ties that bind the beast. ‘St. Vincent’s +3’ will be out on October 7th.